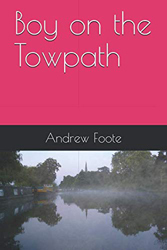 Boy on the Towpath is available as souvenir paperback through Amazon, worldwide. 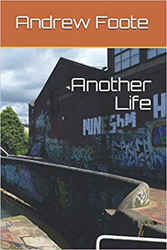 Another Life is available as souvenir paperback through Amazon, worldwide. During the arduous task of clearing my attic of years of accumulated junk, I came across these lurking between the pages of one of my old school exercise books. Between the ages of ten and fourteen, I had been the victim of the most extremely serious and brutal sexual abuse imaginable at the hands of one of my teachers at a prestigious Grammar school in Berkshire where I was a pupil. What I uncovered can't be described as stories in the accepted sense, but rather a dark reflection of my mental state during that period. Given they were written in my handwriting; the same hand as the exercise book, I have to assume that I wrote these when I was about thirteen, perhaps thirteen and a half, three years on from the beginning of my torment, and around six months before that teacher lost interest in me, most likely due to the onset of puberty. (I was a late bloomer). IOMfAtS has graciously agreed to publish these pieces on my behalf, if for no other reason but that they might serve as a salutary reminder to those who find children sexually attractive, the catastrophic amount of damage that they might do should they act upon their desires. Physical injuries heal given time. But take it from one who knows only too well, mental scars live on for the rest of that young person's life.